I’m back…. I know y’all are so excited that you can’t even say my name…. right?! Wait what?... you don’t remember me? So that’s why you don’t know my name??? How did this happen…. Was it because I haven’t guest blogged here in so long… or was it because I was so boring? Well I guess we’ll never know (unless you leave a comment stating otherwise) cuz you get me today! I am Tiffany – the mommy and Nikki is my sister. I write family histories and love it. I know that a lot of you out there are busy working on projects that are already started and maybe don’t have the time or the energy to research, interview and then write a family history! So today I want to talk to you about writing your own life history. It doesn’t have to be fancy and it doesn’t have to be done in a month. But if you don’t write it who will? I know I spend a lot of time with older members of my family interviewing them so that I can write their life story and there is so much that they can’t remember. But what if they were the one who wrote their life story? Almost all of their memories would be written down, grandchildren and great-grandchildren could learn and grow from the things that were written. So that being said you’re still thinking I just don’t have the time, my life isn’t really that interesting, what the heck am I supposed to write about and where the heck should I start! Well I suggest that you get yourself a notebook, a journal, or open a word document. Label it life stories pull it out every Sunday or whenever you need a break from your WIP (work in progress) and do what you do best write! Your writers so y'all just write. Your hopes and dreams and how they have changed over the years *The automobiles you’ve had or transportation you’ve used. *Create a list of places that you’ve visited and when visited. *Your favorite hobbies *What do you like to shop for *Your impressions of the times, wars, developments, etc. Anyway let's write our stories! Attached you will find a google document of interview questions. Use them, adapt them to you and your family, and share them with others so that they can write their stories! This will be a book of a lifetime and you will write it and it will be your greatest contribution to others on this Earth! 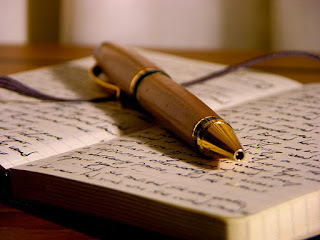 YOU ARE WORTH WRITING ABOUT! Thanks so much for guest posting today, Tiffany. This is awesome information. I really like that software you use. I just might have to get it. I am actually kind of motivated to write about myself. THANKS! -- Nikki P.S. If y'all liked Tiffany's post, let her know she is welcome to come back next week!! Maybe ask her some questions about writing family histories. Thanks! I do like the question about how my parents chose my name & not just mine all my sisters & my brother.